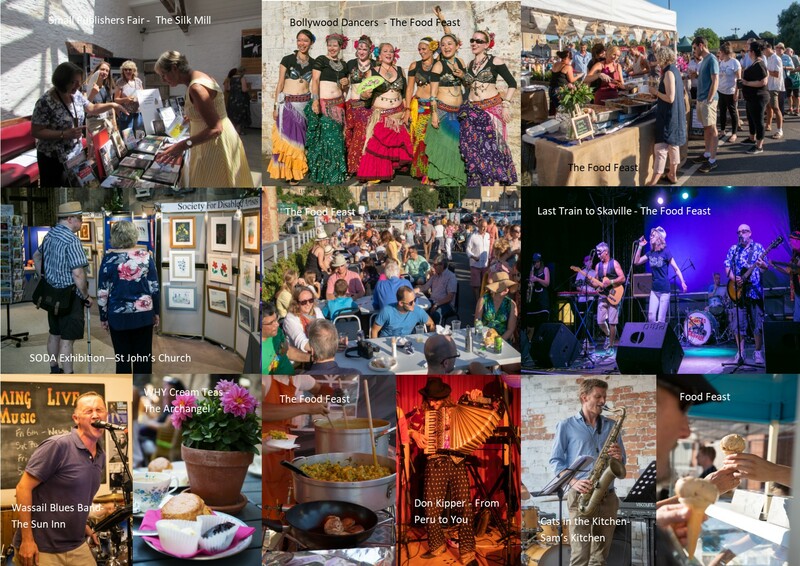 The Frome Festival got off to a terrific start on Friday 6th July with events taking place all over town and venues crowded to capacity, including Rook Lane Arts, the Silk Mill, Number 23, Cooper Hall and The Granary. The Food Feast on Saturday 7th brought an attendance of many thousands helped by the afternoon screening at the Cheese and Grain hall, of England’s victorious World Cup quarter final match, adding to the celebratory mood in the good weather. 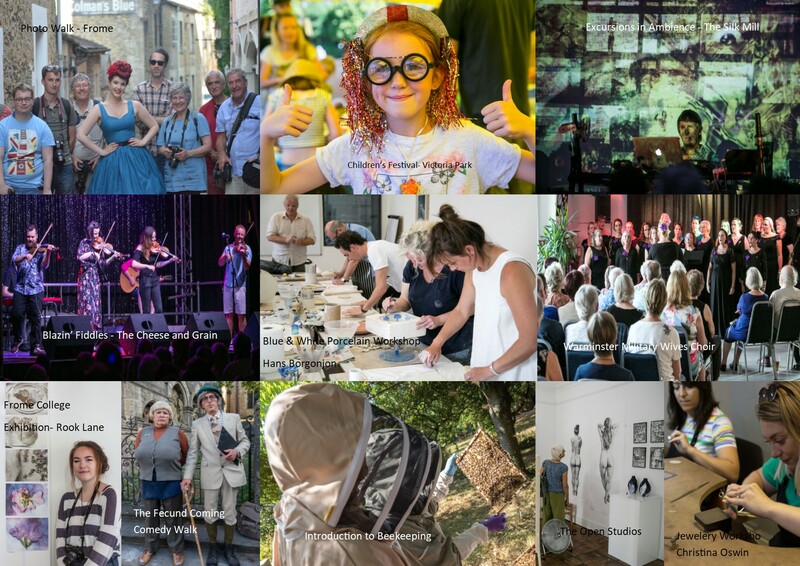 Here are a selection of pictures taken by the Frome Wessex Camera Club. 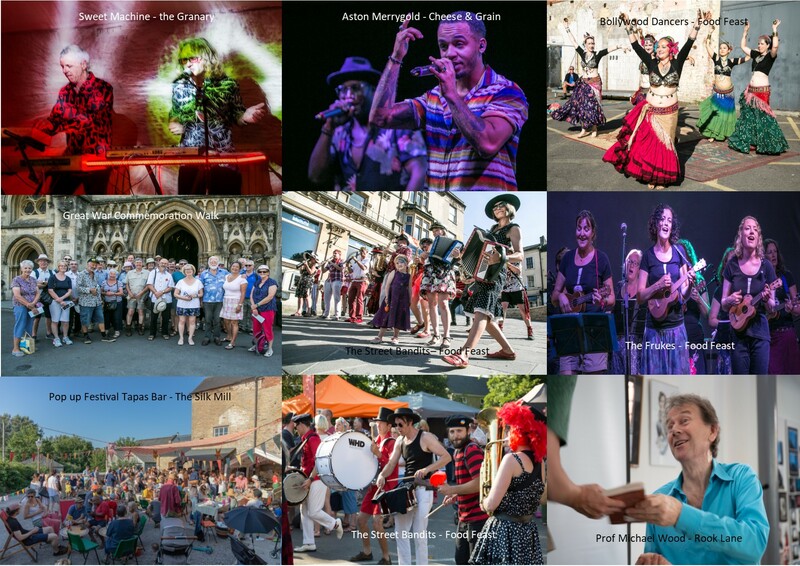 If you’d like to see more of their amazing shots capturing the Frome Festival, click here. Festival Director Martin Dimery described this year’s Festival as “a huge success”. “We also feel we reached a wider audience this year and involved people who would not ordinarily attend community festivals. It was wonderful to meet people from all over the country, attracted to Frome at this busy time. We’re already planning for a very special celebration in 2019.